There is something to be said about working out in the morning. Boy does it set the tone for a great day. I was a bit worried about waking up this morning because it was my first morning run after a week off and during that week came the cold and snowy weather. I don’t do well in the cold so I was not looking forward to facing these chilly morning runs. In preparation for the cold I set out a pretty fashionable outfit that would hopefully withstand the temperature. And it certainly did. So much so that I ended up ditching the top layer in a bush and ran in all black..in the dark… Not the brightest idea. I’ll eventually get this whole morning cold gear down. I did face some snow flurries on the run but overall it was quite nice. 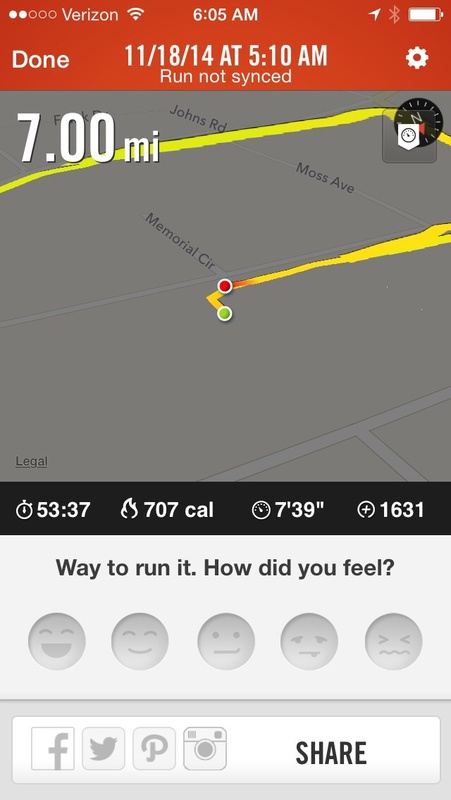 I intended to go out for 6 miles but tacked on an additional mile for kicks. I always find that my morning runs end up going longer than expected and when I run in the afternoon, I am exhausted and have a tendency to go shorter than planned. It wouldn’t be a complete post without a summary of some of my morning eats. I usually need to get something in my body before I workout…and I like eating so I opt for a banana, a little NuttZo and black coffee. I like to leave a little bit of the banana left to slice onto my toast after my run 🙂 I can’t stress enough how amazing that NuttZo is. There is something beautiful about spreading it on your toast and seeing the flaxseeds and nuts. 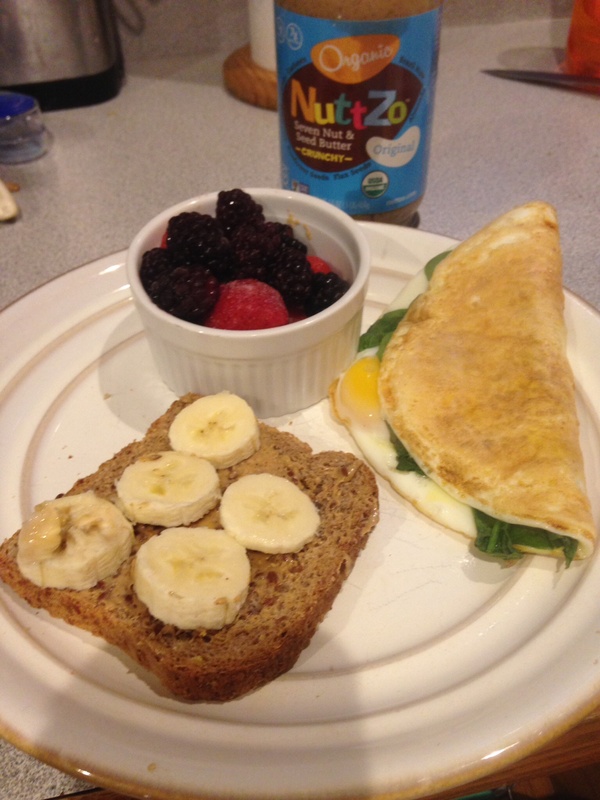 What is your favorite morning run fuel? Do you prefer to run in the heat or the cold? 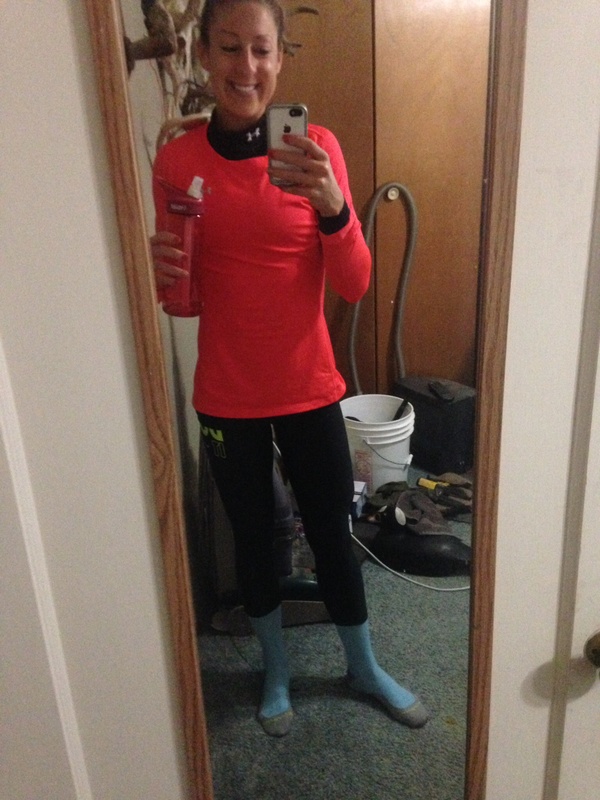 What is your favorite cold weather running gear?